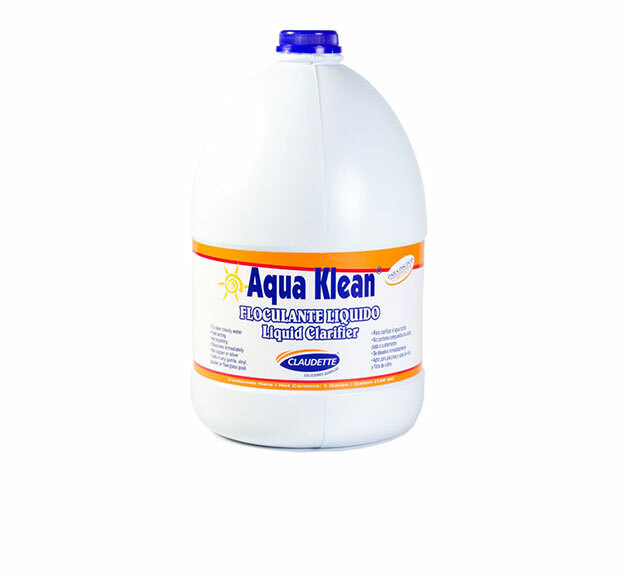 Coagulates and neutralizes dispersed particles in the water, the precipitation formed is easily eliminated with a vacuum. Recommended dose: 1.5 kilos (53 oz) per 10,000 gallons of water. 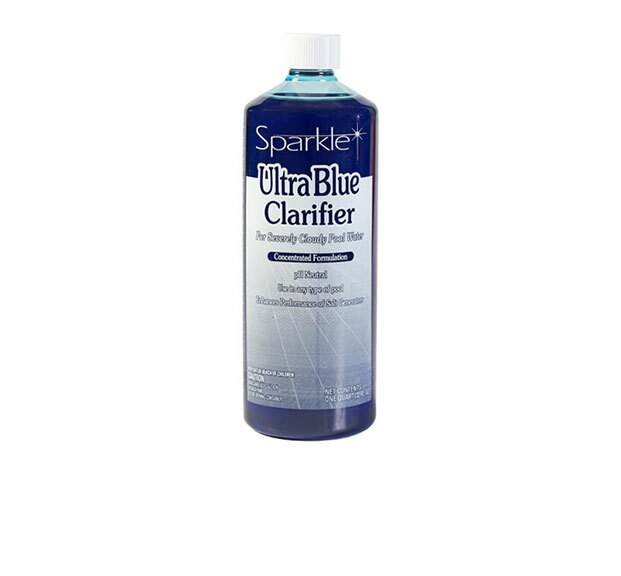 Clears cloudy water by collecting small-suspended particles into larger masses that can be easily filtered. 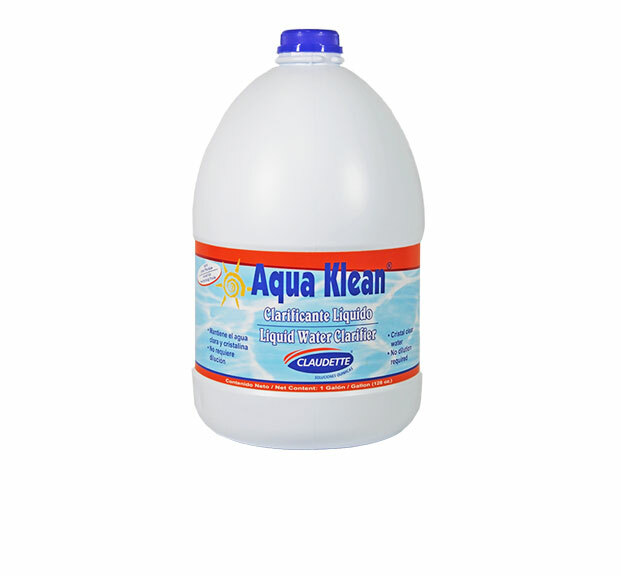 Recommended dose: 16 oz (1/2 liter) per 10,000 gallons of water. No dilution required. Active ingredient: Aluminum Silicate Polychloride. Precipitating agent, based on aluminum sulfate, which agglomerates small suspended particles in the water, so they can be easily filtered. Recommended dose: 16 oz per 10,000 gallons of water. No dilution required. 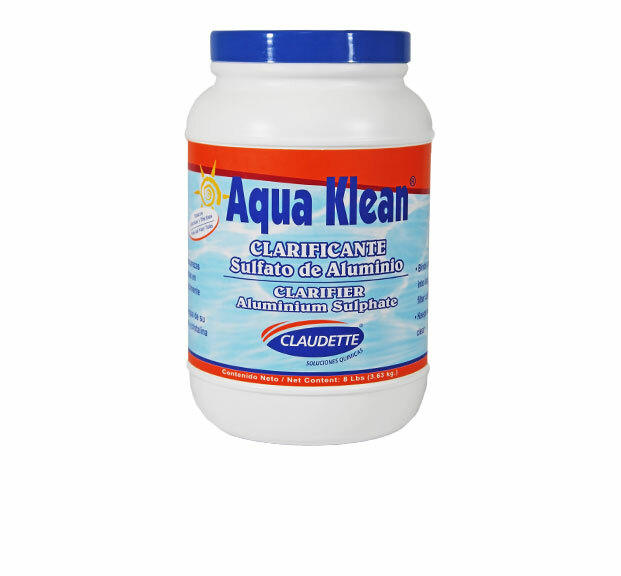 Concentrated formulation to clears up extremely cloudy swimming pool waters, it is use in any type of pool and enhances performance of salt generators. pH neutral. Recommended dose: 1oz. per 5,000 gallons. Make sure the pools recirculation system is in the “filter” mode and that the skimmer is operating.